LinkedIn now has around 6 million users in Australia and 347 million users globally. It continues to evolve from its early days and now has become an invaluable resource for any business. Many businesses though still do not appreciate the power of LinkedIn as a tool to grow their business. LinkedIn provides a strong platform to connect and have conversation with people who are in business and are relevant to your business. At our May 2015 Northern Beaches Network Event, Jillian Bullock aka the LinkedIn Ninja Down Under shared some insights on things you can do to gain more traction on LinkedIn. PROFILE: As a peer to peer platform, your profile and what you do on LinkedIn plays an integral part. Your profile is the first impression that people create about you. When LinkedIn first started, almost every profile basically read like a resume. As LinkedIn evolved, profiles are now more effective if positioned as a sales document. As a sales document, you use your profile to give your potential target market a snapshot of what you can do, what you have achieved and how you have added value to your client’s business. KEYWORDS: As the numbers of users has grown and continues to grow, LinkedIn is now like Google in that it uses keywords to drive its search. So when you write your profile, it is important to keep in mind the most relevant keywords that your target market might use in looking for a business like yours. FOLLOWING: LinkedIn allows you to follow groups and companies. On average, highly effective LinkedIn users belong to around fifty groups. Groups are a good way to connect with like minded people. It is also a good way to connect with people who are outside your industry but have members who are potentially within your target market. You may also want to follow specific companies either from a general or business point of view. Companies often post updates on their pages and it is a good way to keep abreast of what they are up to. CONNECTING: As the power of LinkedIn is in its ability to let you connect to as many people as you can, quality and not quantity is a good measure to follow. It is better to connect with 1 colleague who can potentially connect you to 10 quality referrals than connecting with a stranger who can connect you with 500 strangers. ADVANCED SEARCH: Finally, one under utilised feature of LinkedIn is the “advanced” search function. This is next to the search box at the top of the page. The advanced search function enables you to find people based on keyword and geographical specific search terms similar to Google. This is quite a handy feature if you are searching for people who you may want to connect with. As you can read their profile, it gives you relevant information about their background and connections. There may be a common connection between you which can be very useful for a referral. Applying the above steps will go a long way in improving the use you get out of LinkedIn for your business. These are however albeit the first steps in your business development process. Keep in mind that LinkedIn will only help you get in front of potential customers. You will still need to do the necessary work to close the business. Jillian Bullock is running a LinkedIn workshop for business on 24 June 2015. 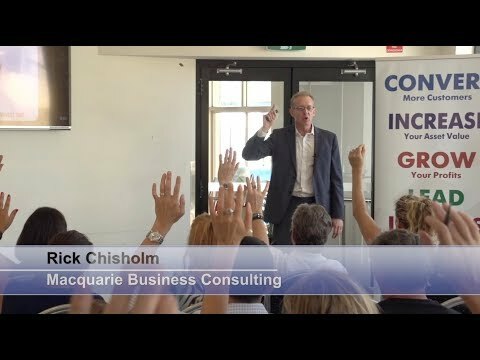 LInkedIn Northern Beaches Network group members get a 20% discount from the early bird workshop fee. 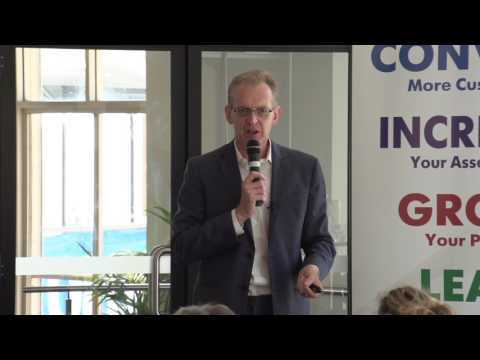 To register for the LinkedIn workshop, please click here: https://www.eventbrite.com.au/e/foundations-of-linkedin-collaroy-tickets-17178189427.